By inspiration of Barcamp Phnom Penh, we had Barcamp Angkor last year and now it reaches the 2nd edition of the event in Seam Reap. BarCamp Angkor 2013 is a 2-day international technology conference and exhibition that brings together computer enthusiasts, young IT professionals, social innovators, web & mobile developers, bloggers, business owners, entrepreneurs, social media professionals and university students to learn & share about new forms of social innovation based on technologies and tools that are bringing strong benefits to individuals and organizations. Join Free! 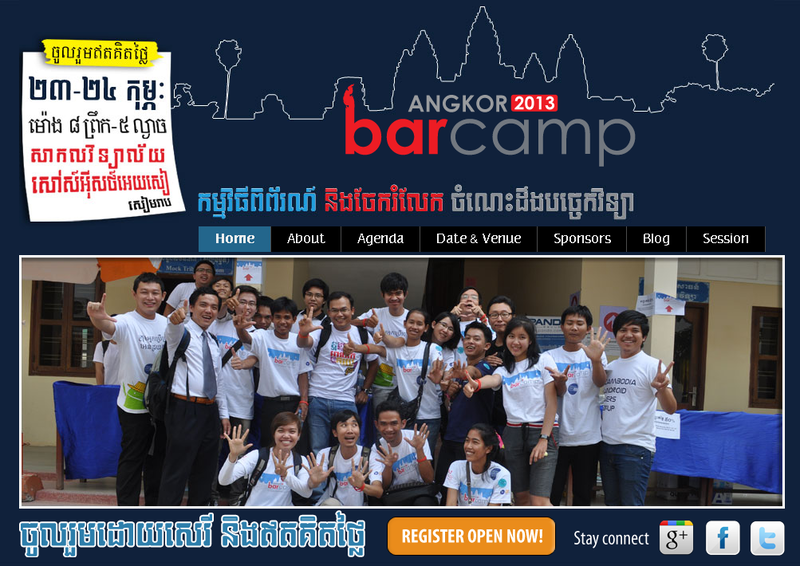 Barcamp Angkor 2013!